Undefeated 140-pound contender Regis Prograis and former world champion Viktor Postol will face off for the vacant WBC Super Lightweight World Championship on Friday, March 9 in the 12-round main event of SHOWTIME BOXING: SPECIAL EDITION live on SHOWTIME at 10 p.m. ET/PT from Deadwood Mountain Grand in Deadwood, South Dakota. Prograis (20-0, 17 KOs), of Houston by way of New Orleans, has scored knockouts in 13 of his last 14 fights and is a rising star in the wide-open 140-pound division. The aggressive-minded southpaw will face the toughest test of his career in Postol, a former WBC Super Lightweight World Champion with only one loss on his record. The event is presented by DiBella Entertainment, in association with Elite Boxing, Fight Promotions Inc., Holden Productions and Sauerland Promotions. Tickets, priced at $200, $80 and $60, go on sale Friday, Feb. 9, and can be purchased on Ticketmaster.com or by calling (877) 907-4726. A consensus top-10 ranked fighter at 140 pounds, the 29-year-old Prograis has beaten three previously undefeated fighters on the SHOWTIME developmental series ShoBox: The New Generation. Prograis stamped his arrival as a legitimate contender in the 140-pound division on June 9 scoring four knockdowns of previously undefeated Joel Diaz Jr., en route to a second-round TKO. 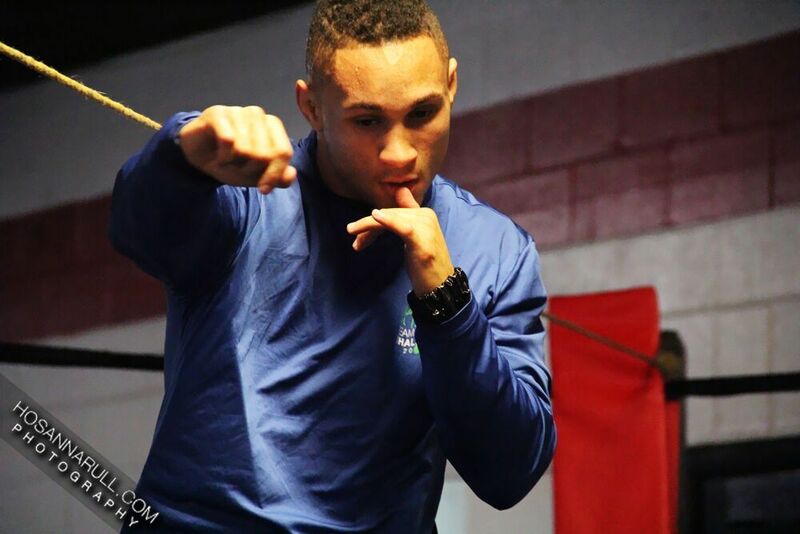 Following the fight, Prograis called out the top players in the 140-pound division, including Terence Crawford and Adrien Broner, and on March 9, he’ll get his first chance to prove he’s ready to face the division’s elite. Prograis’ nickname “Rougarou” originates from Louisiana folklore and is defined as a werewolf-like creature. Originally from New Orleans, Prograis relocated to Houston following Hurricane Katrina. Postol won the vacant WBC 140-pound World Championship with a stunning and dominating 10th round knockout of Lucas Matthysse in 2015. The 34-year-old Ukrainian attempted to unify the division in his first defense, losing via unanimous decision to then-WBO champion Terence Crawford in 2016. He has since bounced back with a win over previously unbeaten Jamshidbek Najmiddinov last September in his native Ukraine. A win would move him one step closer to earning back the coveted WBC title he lost. The co-feature also pits two of the top prospects in the 140-pound division, each with an opportunity to score the biggest win of their respective careers. The aggressive-minded Baranchyk is a former amateur standout that packs power in both hands. The 25-year-old native of Belarus is currently ranked No. 4 in the IBF at 140 pounds and owns seven wins over previously undefeated fighters. He’s gone the 10-round distance three times and is coming off an eight-round unanimous decision over then-undefeated Keenan Smith last July on ShoBox in his adopted hometown of Miami, Okla. The 26-year-old Yigit competed in the 2012 Olympics for Sweden, advancing to the second round before losing a very narrow decision to eventual Silver Medalist Denys Berinchyk. The Stockholm native has tallied 21 victories in just four years following the Olympics while campaigning in Europe. The southpaw will make his U.S. debut against Baranchyk as he looks to prove he’s ready to contend on the world stage. The doors open and first bout begins at 5:30 p.m. More information on the Deadwood Mountain Grand can be found on their website at www.DeadwoodMountainGrand.com.